Often audio amplifier is spec at 20Hz-20Khz, RMS 100W with THD of 0.01% as an example. The THD here in most case is actually THD +N and not the real THD spec. 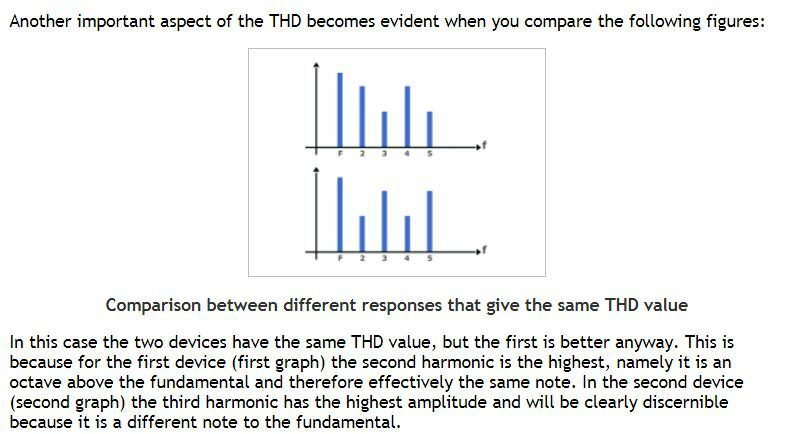 Note the difference in how the THD is calculated. 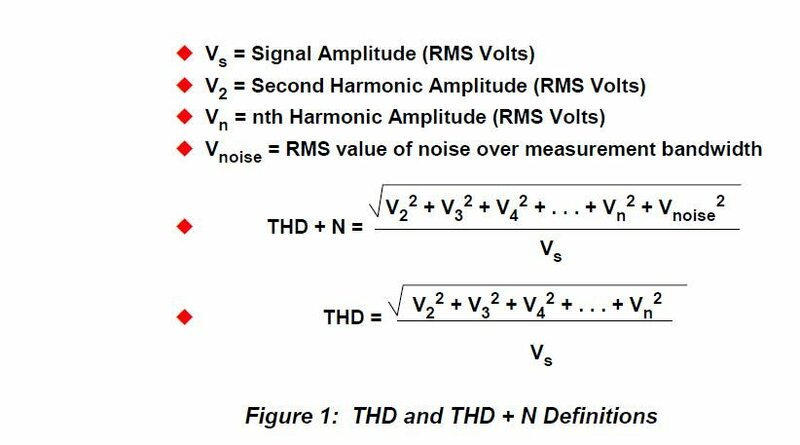 If just look at the THD % you can not tell the difference how the distortion come about, but if you are able to view in the FFT frequency domain of the harmonic content, it will give u a better idea how good the amp performs. Example base on the two amp has same THD spec, but AMP 1 with second harmonic higher amplitude will sound better than amp2 with third harmonic of higher amplitude. of course the amp base THD must be low before apply negative feedback, then is good design amp and will sound good.